If you need a lot of space with a great layout this is your home. 1 level living with laundry on main floor. over $50,000 put into this home in the past 10 years. New everything from furnace to roof! 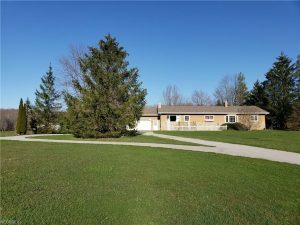 The spacious ranch sits perfectly on 5 acres with a barn and pond. Yard complete with invisible fence.